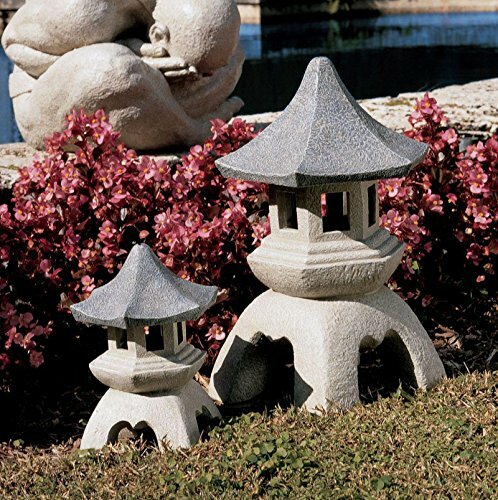 ADD ENCHANTED LIGHT TO YOUR SECRET GARDEN – Lift the pagoda roof lid of this decorative antique replica lantern to add your own battery powered electric LED tea light. Not recommended for use with a burning candle. 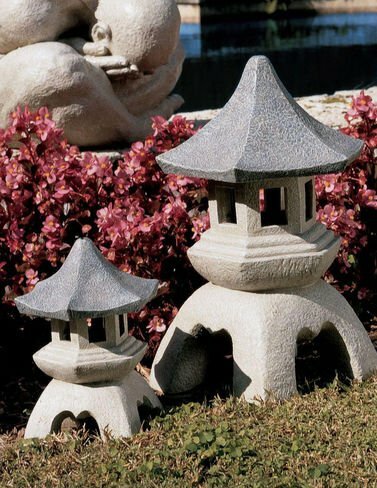 Our large Japanese style Zen pagoda lantern sculpture measures 11.5″dia.x17.5″H. 9 lbs. making it the perfect home or Asian meditation garden decoration! Window openings each measure 1.25″Wx2″H.